Sometimes salad isn’t about the salad. Let’s be honest. If you say ‘what are we having for lunch?’ and someone says ‘salad’, not many people are excited at the prospect. 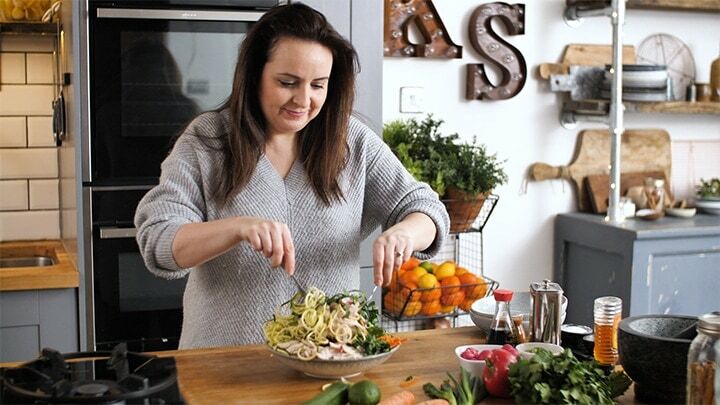 Usually a bowl of lettuce, tomato and cucumber is conjured up in the mind – which, if you’re a maker of said salad (Mr/Mrs large pub or cafe chain owner), let it be known that no-one likes that salad. 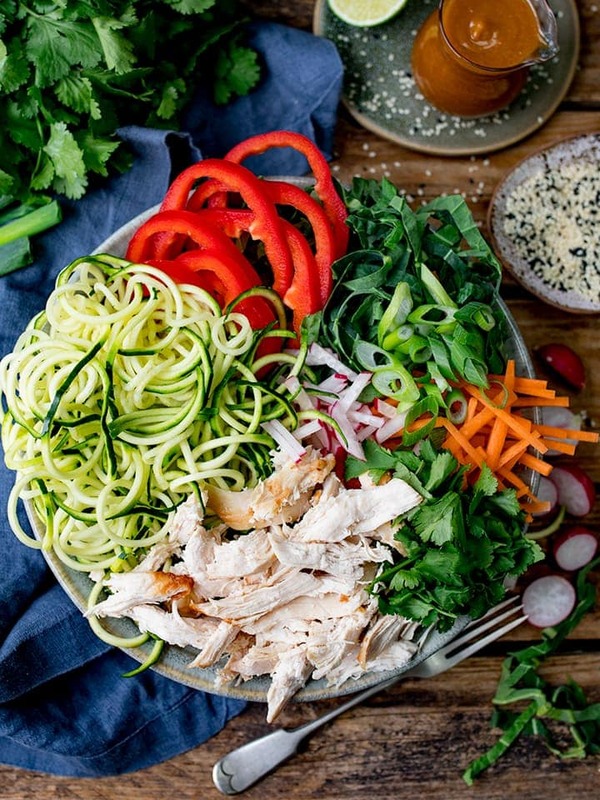 This salad is packed full of shredded chicken, courgetti (or zoodles if you’re in the US), peppers, carrots and spring greens. Tasty, good for you blah blah blah. At the end of the day, it’s the dressing that makes this salad. Salty, nutty and smooth, even if you don’t like peanut butter (like me!) 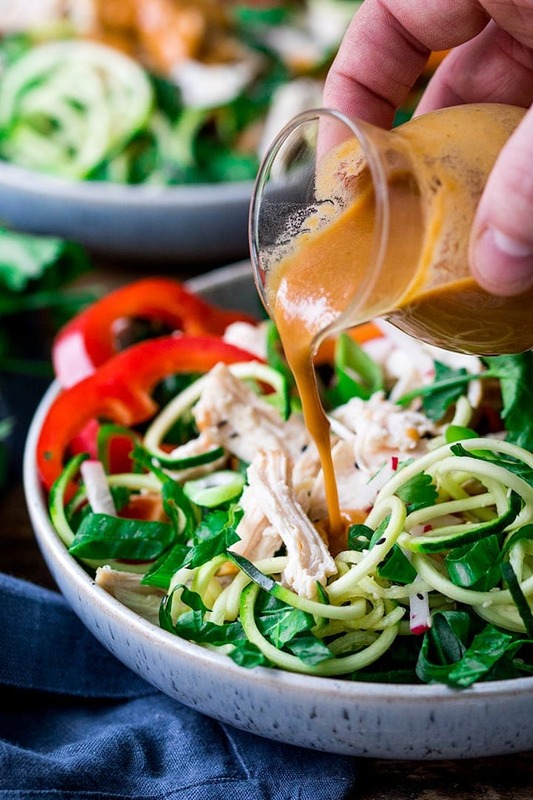 this sauce perfectly coats every bit of the salad to make every mouthful hit the spot. 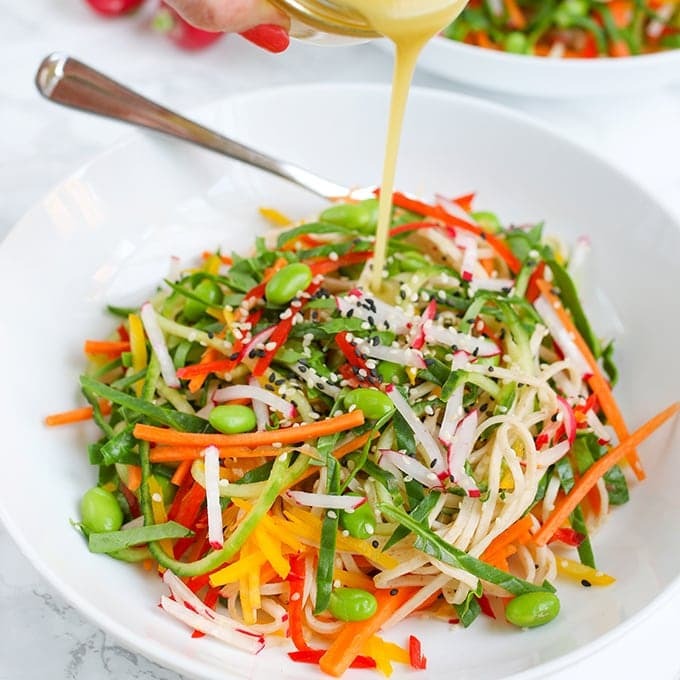 Start by making the dressing with peanut butter, soy sauce…..
Yay for salads that make the mouth water! 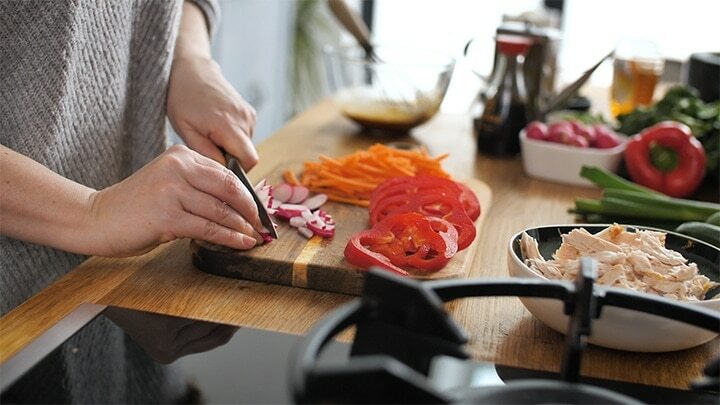 Can I make Thai chicken salad ahead? Yes! Make the salad the dressing, but don’t pour the salad on the dressing. 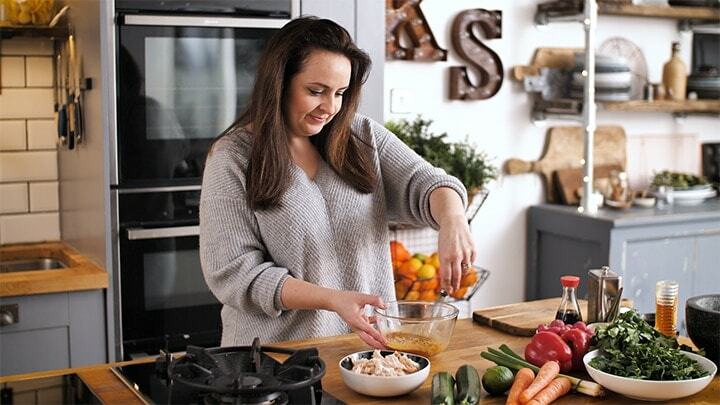 Cover them separately and refrigerate for a day or two, then pour on the dressing before serving. 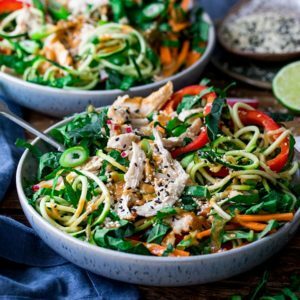 Can I make Thai chicken salad gluten free? Yes, replace the soy sauce with tamari – it’ll taste just as good. Absolutely. I’m all for the time-savers! Can I serve it warm? Yes. 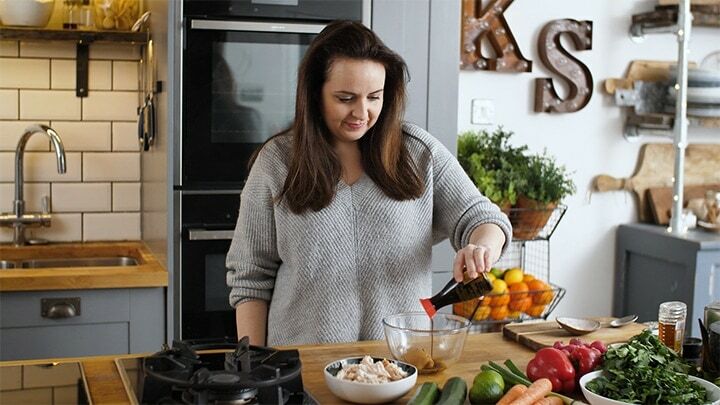 Heat a splash of oil in a wok, add all of the salad ingredients, except the sesame seeds. Heat for a couple of minutes until hot throughout, but still crunchy. 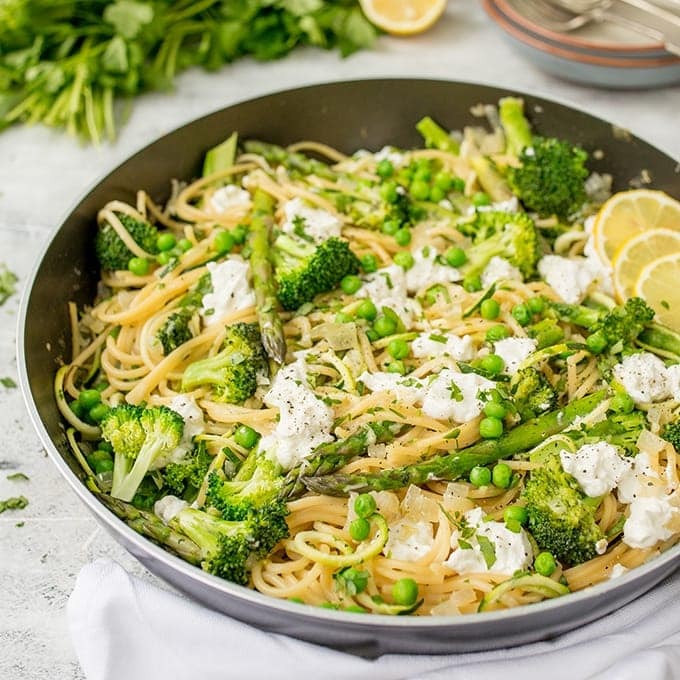 Pour in the sauce, heat through, tossing everything together, and serve topped with sesame seeds. 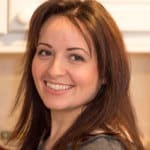 I’m on keto/low carb/sugar-free – can I replace the honey in the dressing? Yes, I’ve replaced the honey with 3 tsp erythritol before now, and it worked great. 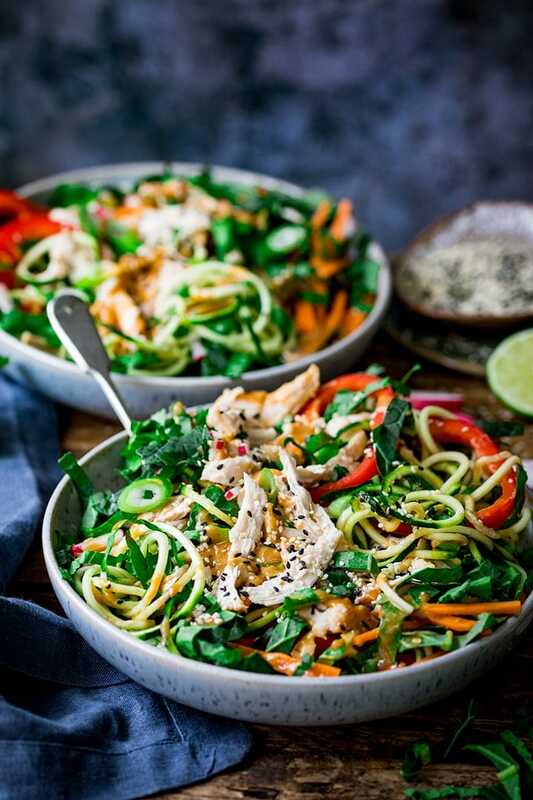 Thai Chicken Salad with Easy Peanut Dressing - ready in 15 minutes, this salad makes a quick and easy lunch. 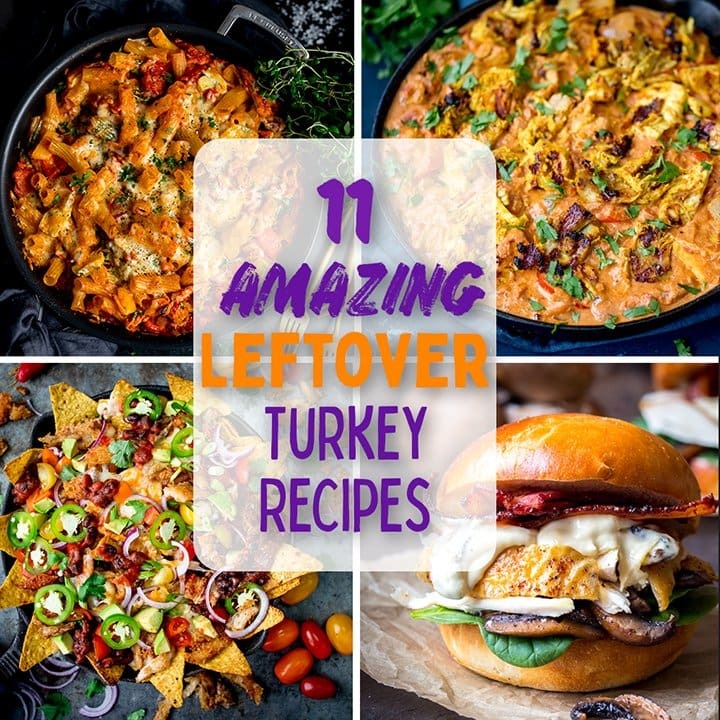 Keto/low carb/sugar free/gluten free option too. 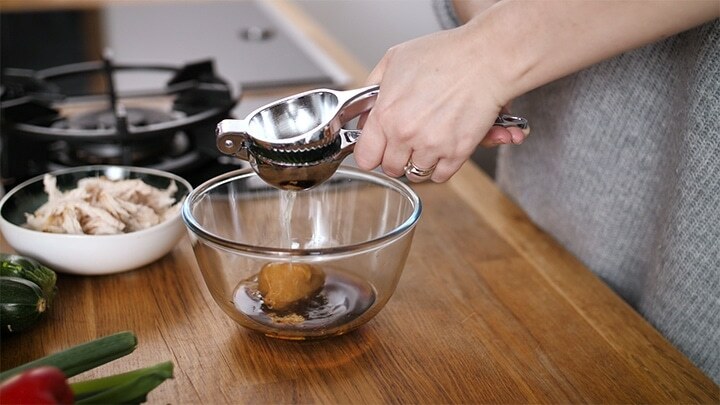 Whisk together all of the Thai dressing ingredient in a small bowl and put to one side. 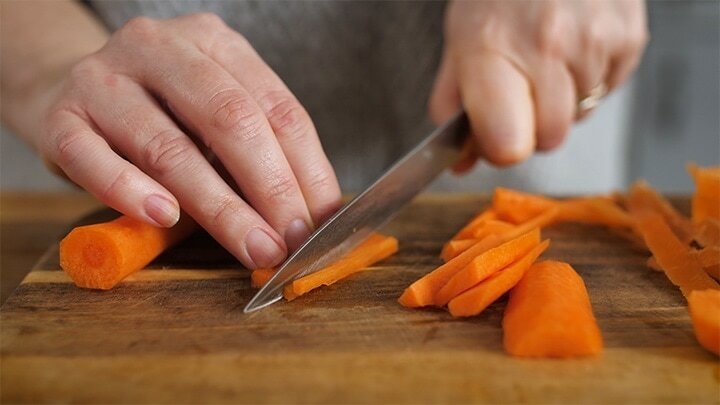 Peel and slice the carrots into matchsticks. De-seed and thinly slice the red bell pepper, cut the radishes into small matchsticks. 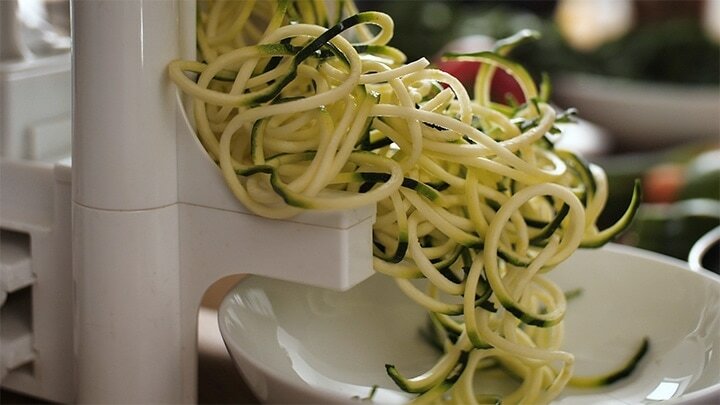 Use a spiralizer to make courgetti (zucchini) noodles. If you haven’t got one, you could use a knife to carefully cut it into long, thin slices. 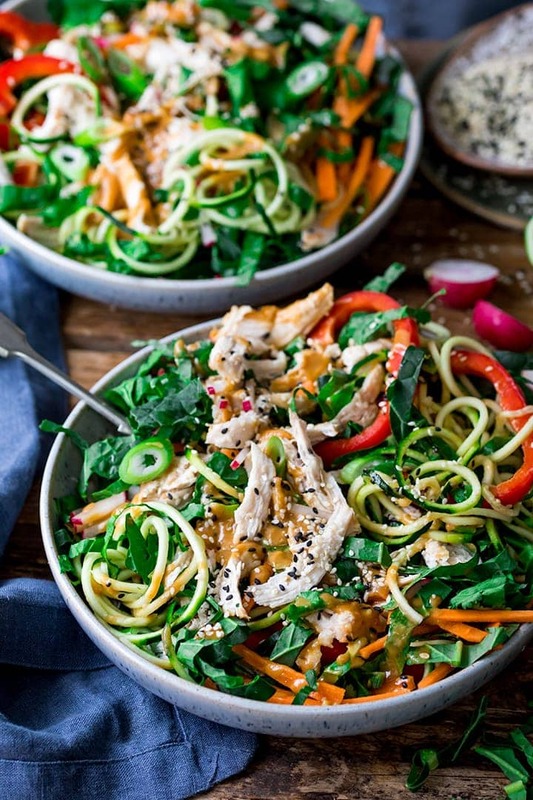 Place the carrot, red pepper, radishes, courgette, shredded chicken, sliced spring greens and spring onions into a large bowl. Toss everything together. 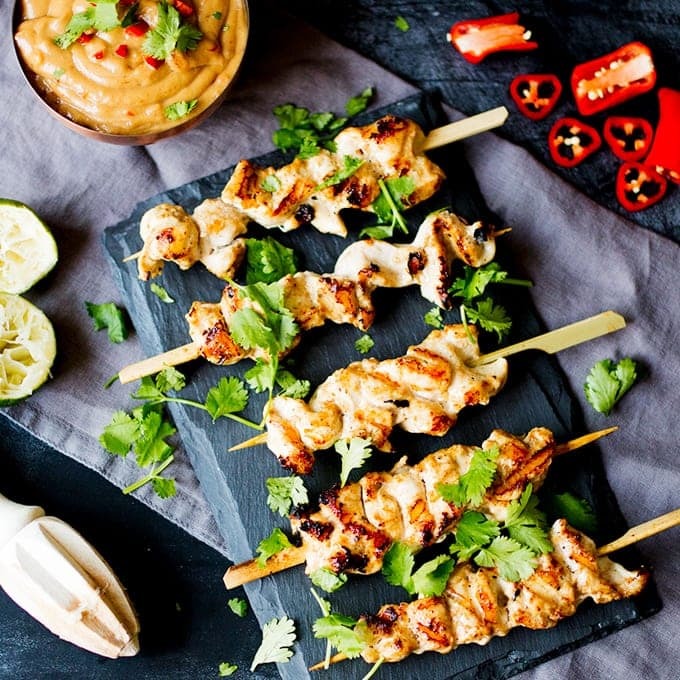 Drizzle over the Thai dressing and and serve immediately topped with sesame seeds and fresh coriander. Note: if you want to make this ahead, you can cover and refrigerate the salad and the dressing separately. Mix together right before serving. Yes! Make the salad the dressing, but don't pour the salad on the dressing. Cover them separately and refrigerate for a day or two, then pour on the dressing before serving. Yes, replace the soy sauce with tamari - it'll taste just as good. Absolutely. I'm all for the time-savers! I'm on keto/low carb/sugar-free - can I replace the honey in the dressing? Yes, I've replaced the honey with 3 tsp erythritol before now, and it worked great. Nutritional Information is per serving: (you can knock off 11.3 carbs per serving by removing the honey from the dressing). Now I know what I’m going to do with my leftover roast chicken. This looks perfect for lunch tomorrow.